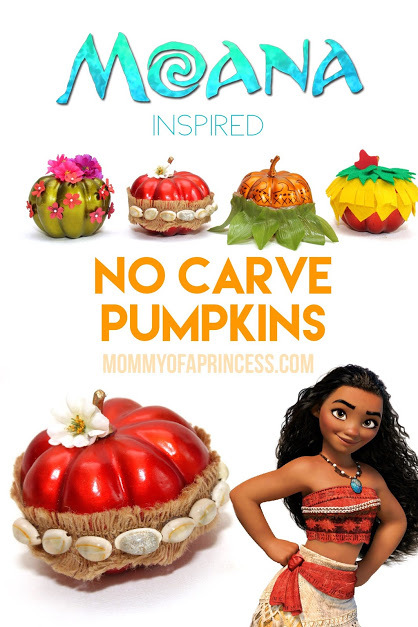 The Moana craze is still going strong in our house and is the inspiration for these easy Moana no carve pumpkins. 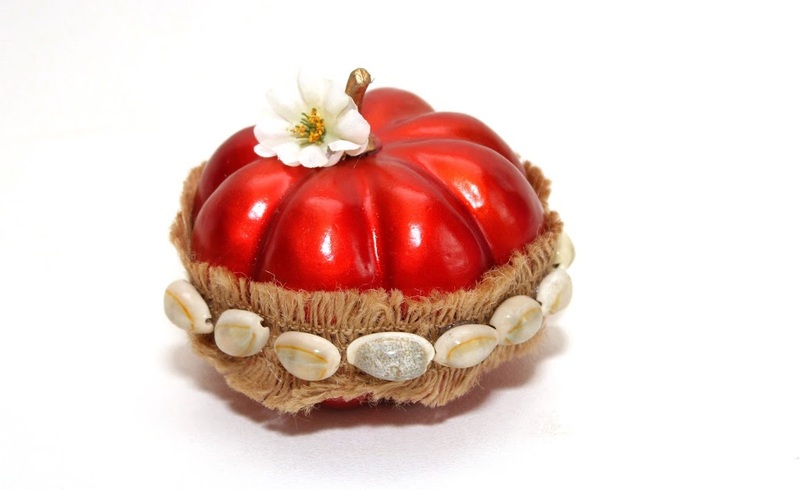 I purchased the pumpkins from the Dollar Tree and gathered the remaining supplies from my craft collection. 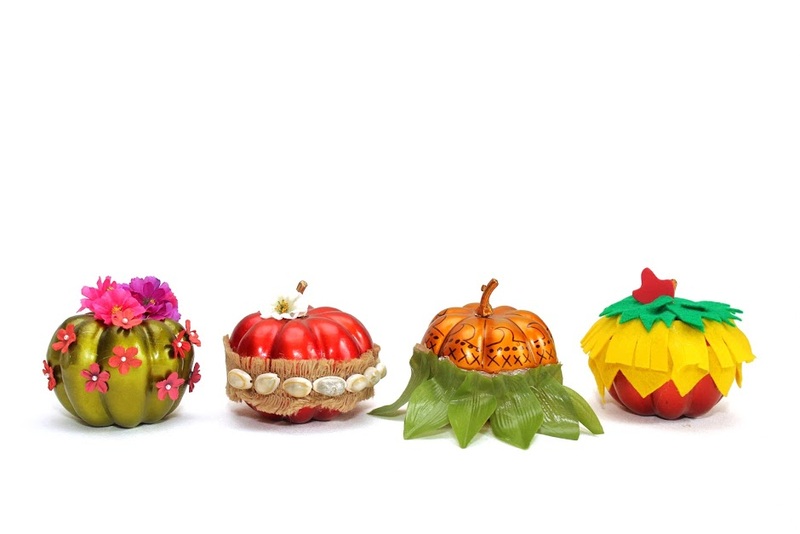 These pumpkins are quick, easy and kid friendly! See how I made them below. 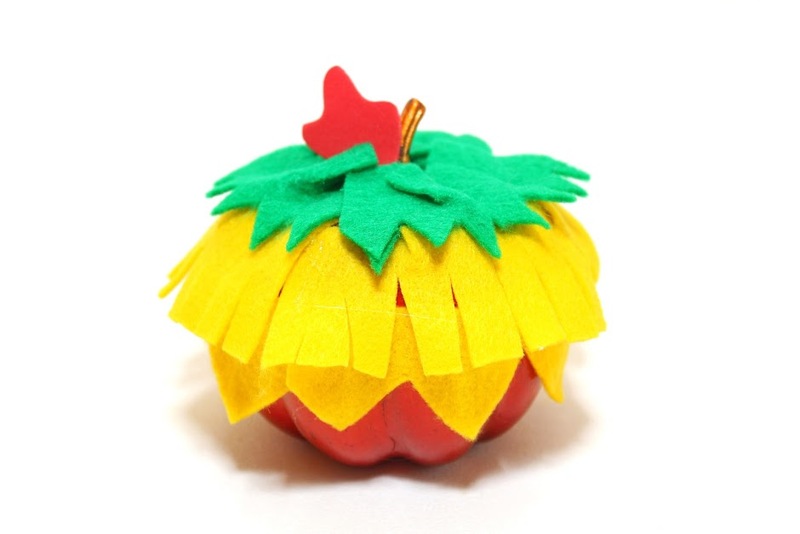 I used a red pumpkin base with cut pieces of yellow and green felt and a piece of red craft foam for the top. 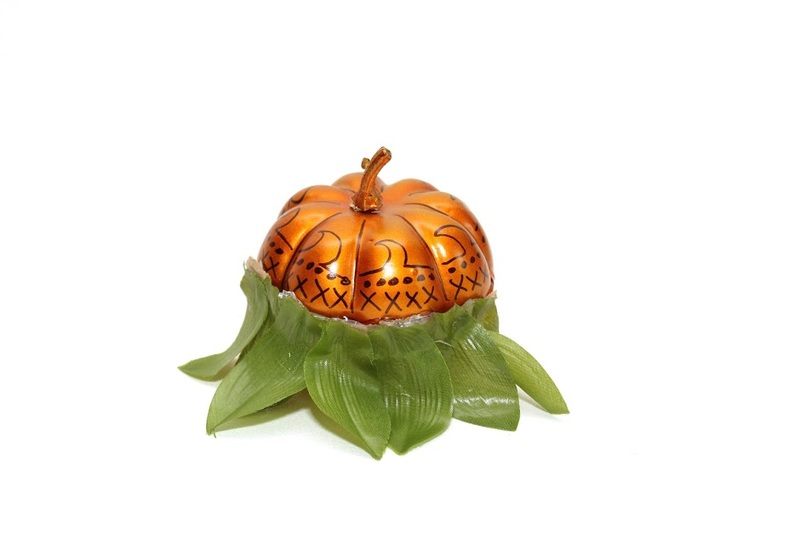 For this Te Fiti Moana no carve pumpkin craft, I used a green pumpkin and small flowers. It would be lots of fun to make a Te Kah version too. 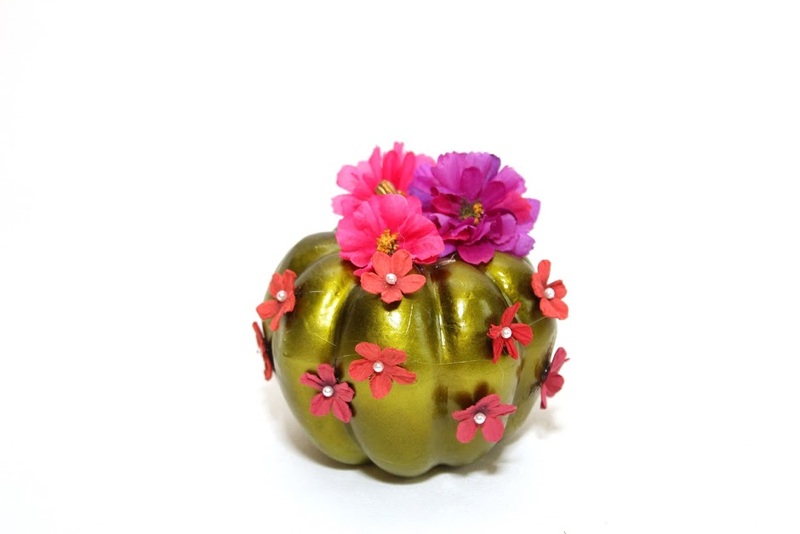 You could use an orange pumpkin, red rock candy and some crushed black Oreo cookies. 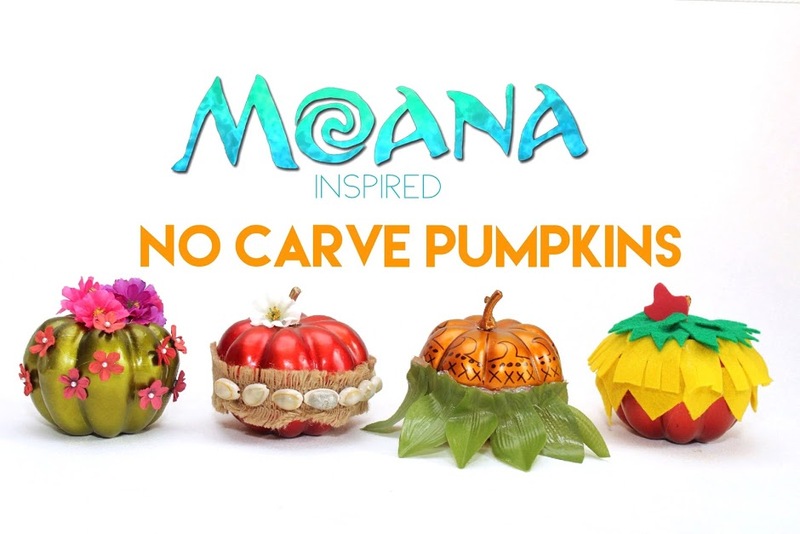 For the Moana pumpkin, I started with a red pumpkin base. Next I added burlap ribbon, some sea shell accents and of course a little flower on top. 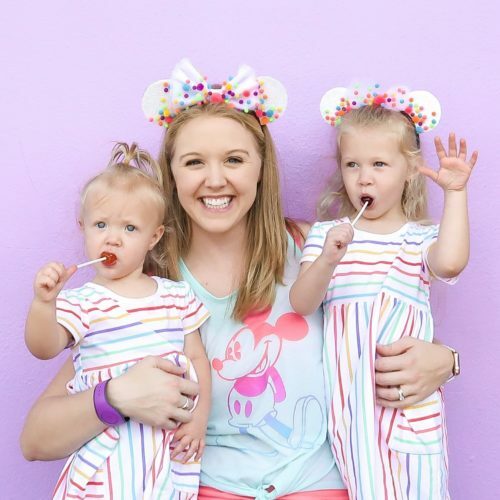 It would be cute to add some details with a Sharpie that mimic her top designe too! I started with an orange pumpkin base for Maui. I added some ‘tattoo’ designs using a black Sharpie marker and glued leaves on as a skirt.